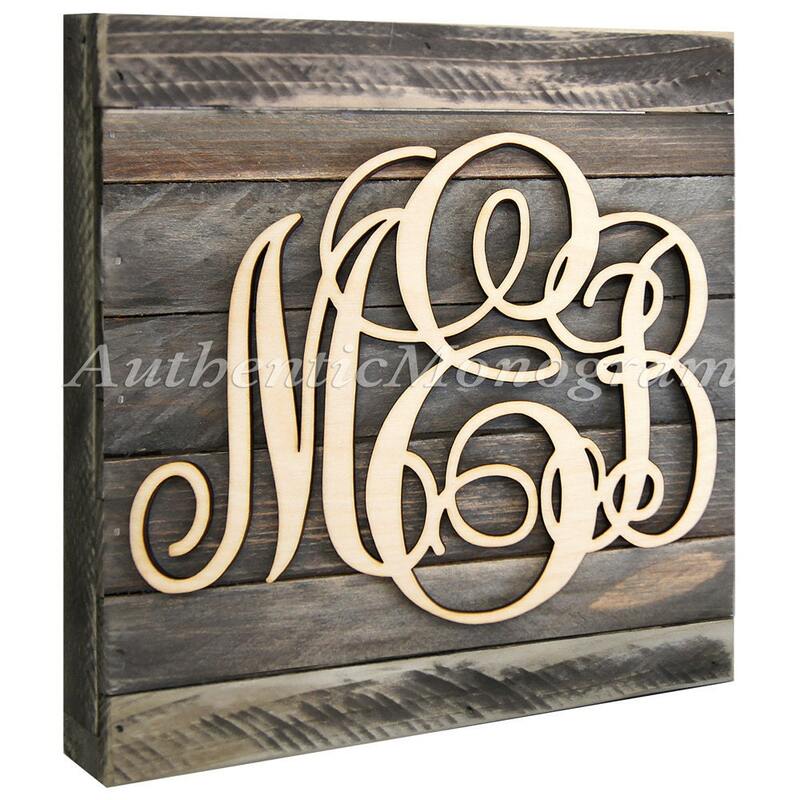 Personalize your Home, Garden, Wedding, Baby and Nursery room with Wooden Monograms Mounted on Weathered Board in a beautiful vine script. This monogram comes unpainted and custom cut from high quality 1/4" Baltic plywood - natural unfinished, quality, birch plywood. Board is painted. Hanging hardware is not included. 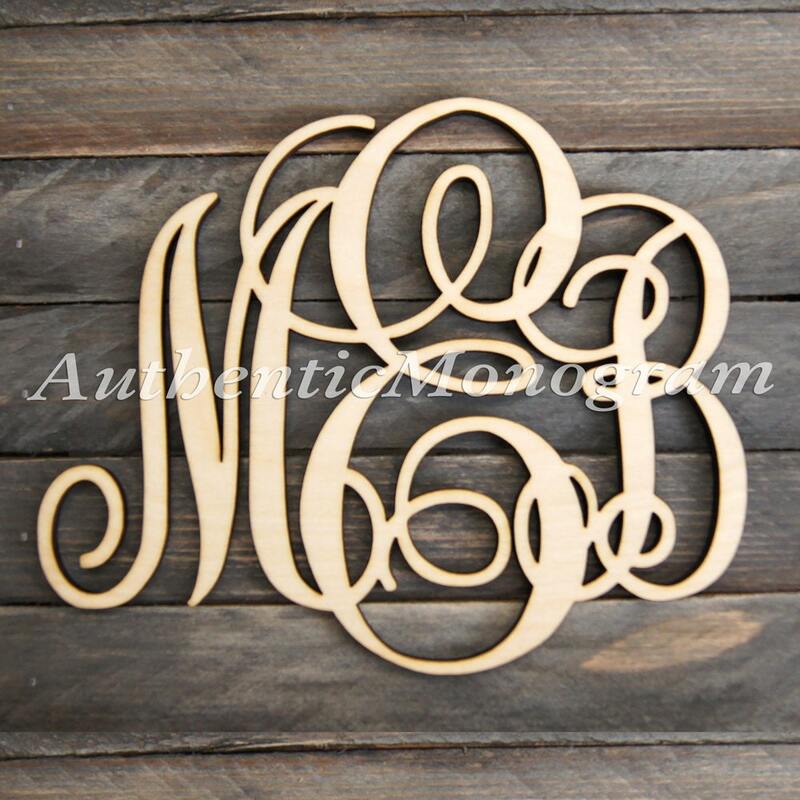 If you would like us to paint your monogram letters, please select color and add this listing to cart : https://www.etsy.com/listing/200269797/monogram-painting-fee-wooden-monogram.